Visitors will have the unique opportunity to explore Fullwood Station from a hot air balloon, weather permitting. Doughnuts, bagels and coffee from area restaurants will be provided and guests will have a chance to register to win prizes. Located in southeast Charlotte, Fullwood Station features seven floor plans on 60-foot homesites and range in size from 2,300 to 5,600 square feet of living space. These one- and two-story homes have options for three to five bedrooms, three to four full baths, one to two half baths and two- to three-car garages. Some floor plans also allow for a basement option. The grand opening event includes tours of the one-story Ashcroft model home, which showcases three bedrooms, two full baths, one half bath, and a three-car garage. With 2,500 square feet of living space, The Ashcroft also includes an additional 2,500 square-foot unfinished basement and is open daily for tours. In Fullwood Station, homeowners enjoy being close to a public library, retail, restaurants, entertainment, and hiking and biking trails in Four Mile Creek Greenway – Matthews. Students attend Charlotte-Mecklenburg schools and commuters are close to major employment centers, with access to I-485 and Highway 51/Pineville-Matthews Road. 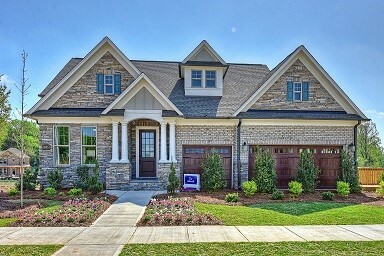 For more information on David Weekly Homes in Fullwood Station, contact 704-972-4234. The Ashcroft model home is open for daily tours.